Great Britain's canoe sprinters were assured of only one boat place at next year's Olympics after a tough day at the World Championships. 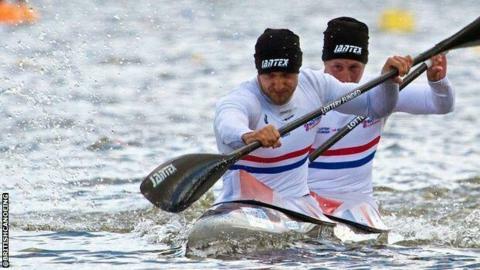 Liam Heath, 31, and Jon Schofield, 30, took fifth place in the K2 200m final to secure representation in Brazil. However, K1 200m Olympic champion Ed McKeever could only make the B final in Milan, leaving the 31-year-old's Rio hopes in doubt. Elsewhere, Lani Belcher and Angela Hannah came ninth in the K2 500m final. Rachel Cawthorn was eighth in the K1 500m, before the women's K4 500m boat ended the day on a high by qualifying fastest for Sunday's final.